Bathrooms are some of the busiest spaces in your home so they need to be beautiful and charming, yet also functional and practical. 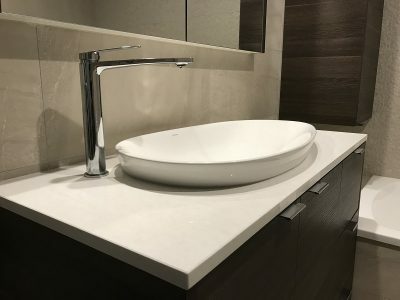 With our innovative designs and quality workmanship, My Bathroom can bring your unique vision to life. Though bathrooms are often smaller than other rooms, there can be a lot involved. This is why we believe in transparent and clear lines of communication, excellent service, and building lasting relationships. With the latest 3d modelling CAD program, you are able to visualise your dream bathroom before we even start!! 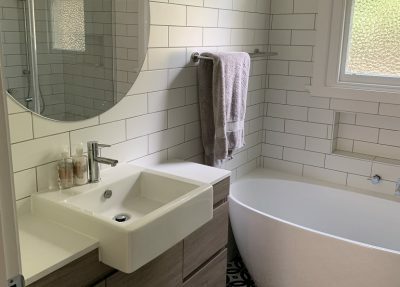 From the initial free consultation and itemized proposal of your bathroom renovation, to final clean, we want the process to be easy and stress-free for you. Our tradespeople are clean, respectful and efficient. You will have a dedicated project manager, and a team that has worked together for over 7 years now, so rest assured your project will run smoothly. We will provide you with a fixed start and finish date for your bathroom renovation. Because the initial demolition can be dusty, we lay down heavy-duty mats to protect your floors, seal the project to confine debris, and clean up every day. 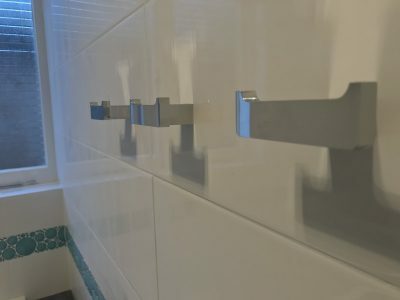 At the point of fixture installation, we pay great attention to detail as we complete a final punch list, ensuring all fixtures align perfectly, towel racks are at your desired height, tiles are cut to exact measurements—nothing is overlooked. Here are a selection of bathroom renovation projects we have performed throughout Melbourne. We chose Carl out of 6 local companies we approached because he turned up when he said he would, he was enthusiastic and creative in assessing and discussing our requirements, and he provided a realistic and competitive quote when he said he would deliver it. We gave Carl a real challenge – to create a bathroom and walk-in robe area in a cramped roof-space in the attic in our period home in Camberwell. 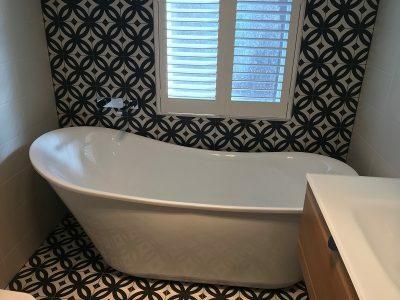 He arranged the design, engineering, building plans and permits within a few weeks, and the result is a bright and spacious ensuite and walk in robe which has been carved out of the previously cramped roof-space by creative design, clever engineering and lateral thinking. The work was carried out neatly and professionally by Carl’s regular team of tradesmen – it is clear they all work well together, and at times we had three or four trades on site at the same time working collaboratively to make sure that each had a chance to get their task completed before the following trade came in to finish off. The job was finished on time and on budget well inside the allowed time in the HIA contract and at all times during construction the house was kept clean and tidy, and treated with respect and protection of the period features of our 100 year old home. I am very impressed with Carl and his team of tradesmen, and I am happy to provide a reference from our experience. 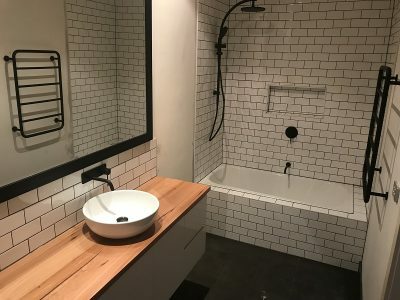 We provide bathroom renovations throughout Melbourne in particular inner Eastern suburbs but also throughout the inner north and south and CBD. 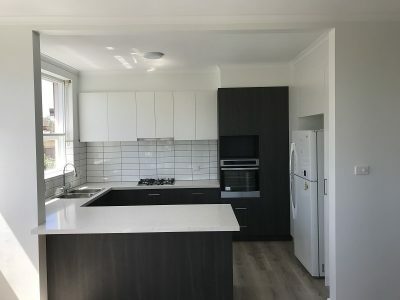 Some of the locations we specialise in include Camberwell, Kew, Balwyn, Hawthorn, Southbank, Glen Iris, Richmond, St Kilda, Burwood and Malvern.